Crystal Lim-Lange is an expert on holistic education, future-readiness and personal growth and the co-founder of Forest Wolf. She travels around the world, advising companies and educational institutions on how to prepare for a future of rapid change, and speaks regularly on how to upgrade our capabilities to thrive in the 21st Century. Crystal’s diverse background spans investment banking, start-ups, agriculture, philanthropy, wellness and education. 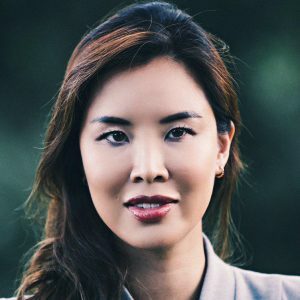 Prior to founding Forest Wolf, Crystal was the Director of the National University of Singapore’s Centre for Future-ready Graduates which prepares youth for a rapidly changing world. In 2016, Crystal pioneered “Roots & Wings” at the National University of Singapore, hailed as a groundbreaking future-ready skills programme by industry employers and holistic education thought leaders globally. She also launched the world’s first Future-ready Index that measures 9 domains of Future-readiness, based on research from 300 employers and over 4,250 students. A prolific speaker and writer, Crystal enjoys sharing her views on the subjects of future-readiness, leadership, and personal transformation. She is also a strategic advisor to Minerva Project, and the Hoffman Institute Australia/Singapore. Crystal is passionate about unlocking human potential and believes that our collective future depends on the evolution of our consciousness.